Russian United Aircraft Corporation (UAC) takes part in the Bahrain International Airshow 2012. 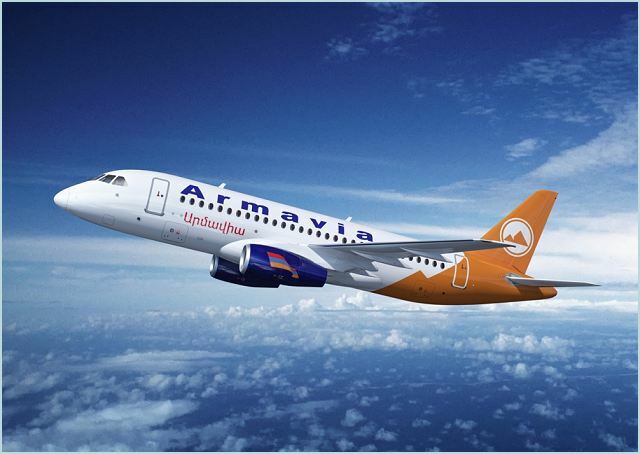 UAC’s civil products are presented by the first production Sukhoi Superjet 100 aircraft tail number EK95015, which is currently operated by Armenian airline – “Armavia”. This is the debut appearance of the Sukhoi Superjet 100 in the Middle East. The aircraft will be available on the static display and will perform demo flights with potential customers. As part of work with the region’s airlines, the Sukhoi Superjet 100 program has already been presented to the most dynamically developing airlines of the region such as Air Arabia, Jazeera Airways, Bahrain Air, Kuwait Airways, Oman Air and Saudi Arabian Airlines. The presence of a real production aircraft at the airshow will allow airlines to visually evaluate the highest levels safety and comfort, outstanding cockpit ergonomics and other advantages of the aircraft. Main traffic of the Middle East airlines is concentrated in the Gulf area. Together with further stabilization in the region in the medium term a notable increase of population mobility is foreseen that will consequently lead to constantly increasing demand for aircraft, including regional airliners (up to 100-120 seats). The highest level of comfort is typical for aircraft fleets of any Middle Eastern airline. SSJ100 is the aircraft that uniquely blends both demand for regional transportation cost efficiency and comfort of a modern mainline aircraft. Sukhoi Civil Aircraft plans to sign first agreements in the region in 2012-2013. The Sukhoi Business Jet program is also presented at the Bahrain airshow. During the last 2 years the business jet market in the Middle East grew by 15%. After its launch in summer 2011, the SBJ program already received first orders from Comlux. Companies all over the world have been demonstrating strong interest in the product, including Middle Eastern air carriers specializing in VIP services. During the next 20 years the region’s passenger operations are expected to quadruple. The forecasted sales volume for UAC’s civil products – SSJ100 and MC-21 – in the Middle East is about 180 aircraft until 2035. The MC-21 program was presented at the Dubai Airshow in 2011 and became a point of interest for Middle Eastern carriers. The Middle East is one of the regions of high priority for UAC.